← I’m home from vacation! 1. Unwrap a drinking straw. 3. Breathe through the straw for one minute. It’s imperative that we spread the word about this silent, rare disease that has no cure as of yet. But there is hope and that hope lies with YOU. This post is to give a shout out to a wonderful young lady, Haley, who has Pulmonary Hypertension. 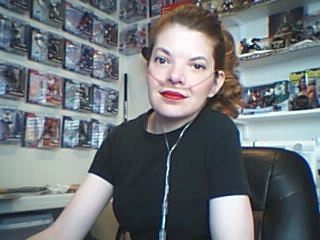 She writes a blog with the purpose of spreading awareness of pulmonary hypertension. Please go to her page at: PHenomenalhaley. We both have Pulmonary Hypertension but her’s is Primary where as mine is Secondary (caused by other birth defects). So, visit her page to see all the things she posts about. Spread the word about Pulmonary Hypertension so that we can find a cure! Hey, I follow Haley! She is such an inspiring girl, as are you, so thanks for posting! I like your straw analogy and wish more people could understand. I’ve never been diagnosed with PH, specifically, but can definately relate to having severe breathing complications. Thanks so much! Haley is a sweetie. Hi there! I know Haley through her blog. I have one of her beautiful t-shirts supporting Pulmonary Hypertension Awareness. She’s a really sweet young lady who also has PH. Her cat and my dog are both named Rocco. 🙂 I have sent her cat, Rocco, some cat toys that I make as a hobby. The poor little thing has to go through his own breathing treatments. Thank you for reading my blog. I hope you enjoy it. That is great! I absolute love to crochet which I’m doing right now. 🙂 You take care of yourself too. Stay well and warm.